Hi Girls This is not me but a fab article from Charisma magazine about fitness that I thought you’d enjoy! Fitness is much like our faith. When we delight ourselves in it, wonderful results naturally follow, both physically and emotionally. Day 1 was miserable. It was the never-ending mile. Even the pop-culture drivel on the TV screen in front of me couldn’t distract me from this purgatory to which I had consigned myself. I forced myself to jog at 6.0 mph in 20-second bursts, followed by 60 seconds at a recovery pace, AKA, a walk-and-catch-my-breath-and-try-not-to-look-like-I’m-dying pace. The second day, I increased my jogging interval to 30 seconds. The third day, it was up to 40 seconds. This pattern of 10-second additions continued until one day, lo and behold, I achieved a no-walking 10-minute mile! I celebrated privately for approximately seven minutes by treating myself to a peanut butter/banana protein shake at the gym’s smoothie bar and then went about my day. Thereafter, I kept up the 10-minute mile about once a week, just so it wouldn’t go anywhere. (For some reason, I must have had it in my head that being able to run a mile nonstop was necessary for survival and #coolness.) But by no means did I work to improve it. When I started doing CrossFit three years later, my mile time had dropped three minutes, and no treadmill or regimented training schedule was required. I simply did the prescribed workouts along with the rest of the class, many of which didn’t contain any running, only a sequence of high-intensity functional movements such as squats, push-ups, deadlifts, and lunges performed as efficiently and quickly as possible. Some days featured only heavy lifting, such as 12 sets of two deadlifts, which I happened to do alongside my husband today. As a CrossFit athlete, I was being coached to become better in all of the above areas, and in so doing, the skills most conducive to running, namely speed, and endurance, were regularly challenged and honed. Now to answer the second question: What’s my point? I’ve had the privilege of observing not only myself, but many other CrossFit athletes surprise themselves when, seemingly out of nowhere, they are able to do things they had previously thought impossible, or at least, impossible for a great while longer. Examples include deadlifting nearly 200 pounds, touching their toes for the first time since preschool, jumping onto a 20-inch box, and squatting with an 85-pound barbell held overhead. In each case, these athletes hadn’t devised a strict training schedule intended to help them reach any specific goal. They had pushed, pulled, squatted, jumped, rowed, ran, etc., doing whatever the WOD (workout of the day) called for. From head to toe, their bodies were becoming stronger, faster, more flexible, better conditioned, and better prepared for not only life’s predictable daily duties and chores, but also its unforeseen ones, like a timed mile-run, or even a sudden car accident from which the body is better able to recover the stronger it is. My point is: let your body do what it was created to do. Continue to train it so that you maintain the flexibility and strength you possessed as a youth as best you can. Regardless of what you may think about CrossFit, I challenge you to forgo the machines and the mundane routines and play at becoming fitter. Try a new sport with a church group or your family. Do your cardio on a picturesque trail instead of a cold, colorless treadmill. Even if you love running marathons, working your biceps ’til you’re blue in the face, or have another sport you’re into, don’t leave holes in your fitness by neglecting to challenge your strength, balance, flexibility, or whatever else you may be lacking. Doing so will allow you to enjoy life to the fullest by strengthening you for countless physical activities and mental tasks, preventing injuries, and providing the flexibility and coordination required for a host of tasks, from carrying groceries up flights of stairs safely to getting off the floor after playing with your kids (or dogs!) with no creaks, moans, or pops. If going to the gym or track or wherever has become reminiscent of something Dante would have described in his Inferno, then it’s high time you had a change of pace—literally. Working out doesn’t have to feel like punishment and be something you dread. 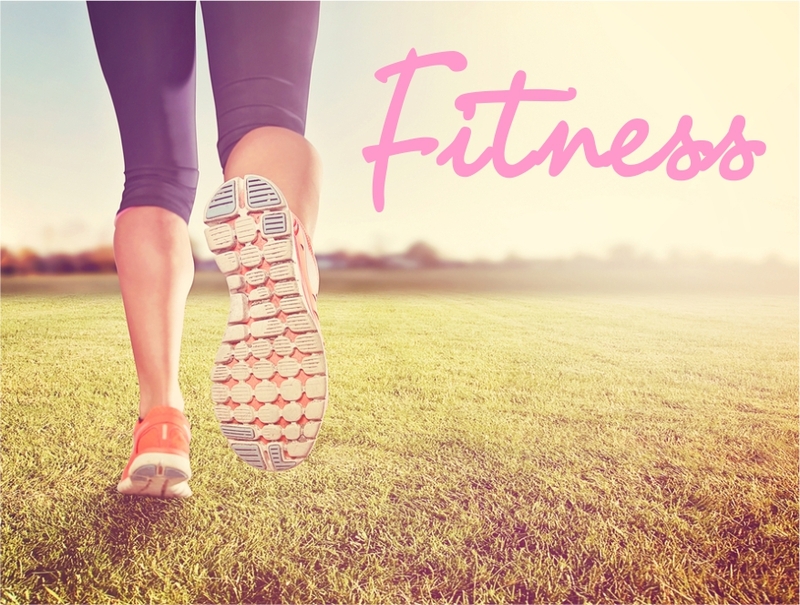 Diana Anderson-Tyler is the author of Creation House’s Fit for Faith: A Christian Woman’s Guide to Total Fitness and her latest book, Perfect Fit: Weekly Wisdom and Workouts for Women of Faith and Fitness. Her popular website can be found at dianaandersontyler.com, and she is the owner and a coach at CrossFit 925. Diana can be reached on Twitter. For the original article, visit dianaandersontyler.com.